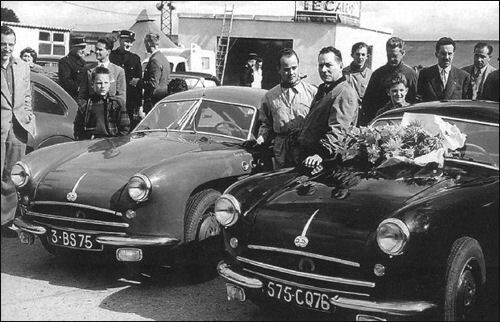 Two DB coupés at Le Mans. Produkcja coupé HBR z aluminiowym nadwoziem nie została podjęta. Latem Chausson przedstawiło przedprodukcyjny egzemplarz nowego coupé HBR z karoserią z tworzyw sztucznych. Pierwszy seryjny egzemplarz gotów był w październiku na Salon Samochodowy w Paryżu. 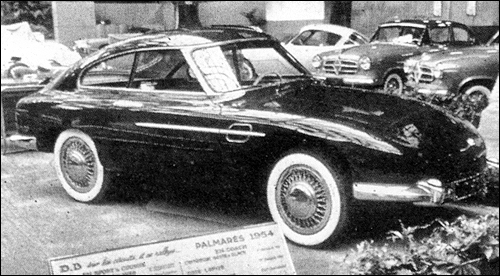 The production of the Coupé with aluminium bodywork did not commence. Instead, in the summer, Chausson presented a pre-production copy of the coupé HBR with plastics body. The first serial copy was ready in October for the Paris Motor. wb: 2130 mm B2 cyl. The pre-production model was ready in the summer. W tym roku DB wystawił do wyścigu w Le Mans aż pięć samochodów. Auta napędzane silnikami Renault nie ukończyły wyścigu. Bonnet i Bayol dojechali do mety na 10 miejscu i wygrali wskaźnik osiągów a Cornet i Gignoux zajęli 16 pozycję. 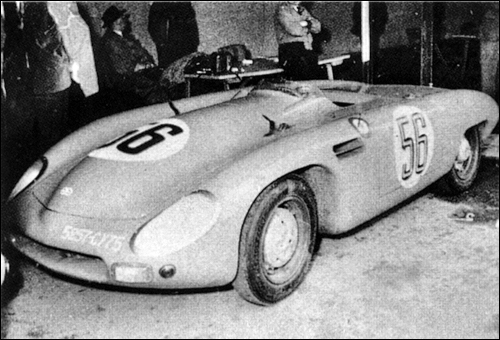 This year DB entered for the race in Le Mans as many as five cars. Vehicles powered by the Renault engines did not complete the race. Bonnet and Bayol crossed the finish line in 10th place and won a performance index. Cornet and Gignoux took 16 position. D.B. Startujący w maratonie Liege-Rome-Liege. Derived from the Racer 500, Monomil appeared on the track last year. It has 2-cylinder 745 cm³ engine driving front wheels. 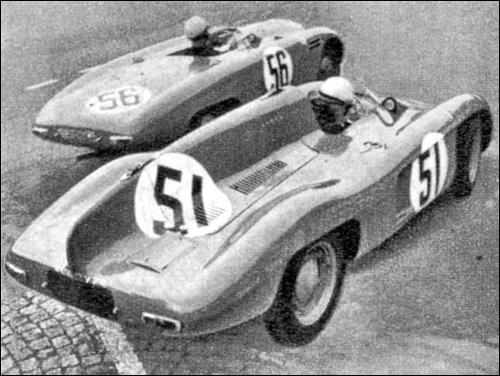 It proved very popular among young, beginner racing drivers. New Formula 1 regulations for next year restricts naturally aspired engine size to 2.5-litre and supercharged to .75-litre. Thus DB decided to give it a go and modified the Monomil by adding belt driven Mag compressor. The engine power rose from 55 to 85 b.h.p. The car, with modified bodywork was proudly exhibited on the stand in Paris, along with the new coupé HBR. Supercharged 750-c.c. 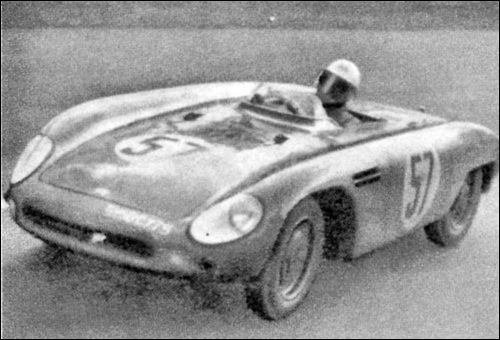 D.B., in general shape looking like an enlarged Monomill racer but being better finished and having large ribbed brakes and knock-off wire wheels. It is really in the form of an experiment, but as a 750-c.c. 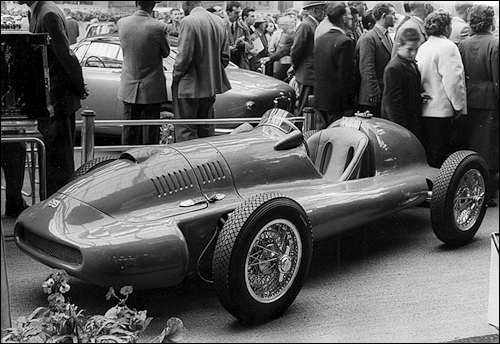 supercharged car it must be considered as a current Formula I car and while not of Grand Prix standard it might be quite handy on a small Formula I circuit such as Pan or Aix-les-Bains. The engine was normal D.B. 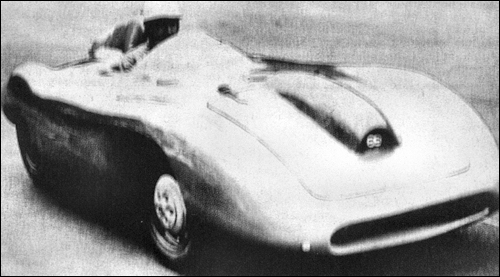 Panhard flat-twin fitted with a belt-driven double-rotor supercharger, the power unit being in front of the front wheels and driving them through a normal D.B. gearbox. DB Formula 1 racer at Paris Motor Show. 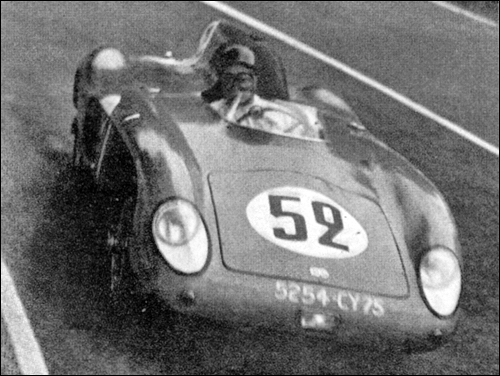 In October RenéBonnet took a new car to Montlhéry in a hope of setting a new record in the class H (501-750 cc) and beating the limit of 200 km/h. He managed to reach the speed of 197.245 km/h setting a new record. 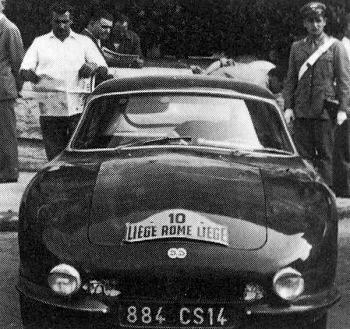 Two months later on 10th of December Pierre Chancel made another attempt and crossed the magic 200 reaching 201.88 km/h. Pierre Chancel in December. 201.88 km/h. René Bonnet in October. 197.245 km/h.